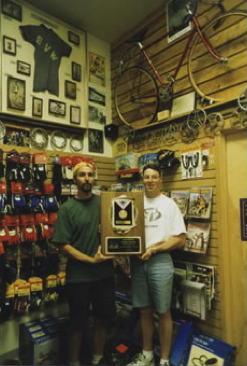 The National Bicycle Dealers Association used to hand out awards each year to bicycle stores, calling out the “Top 100 Dealers”. Not wanting to sound like they were rewarding casino employees or gang members, they have since changed the name. 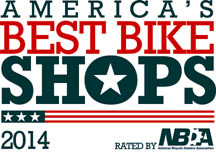 The award is now named something a little more self explanatory, and apparently we have just earned the distinction. 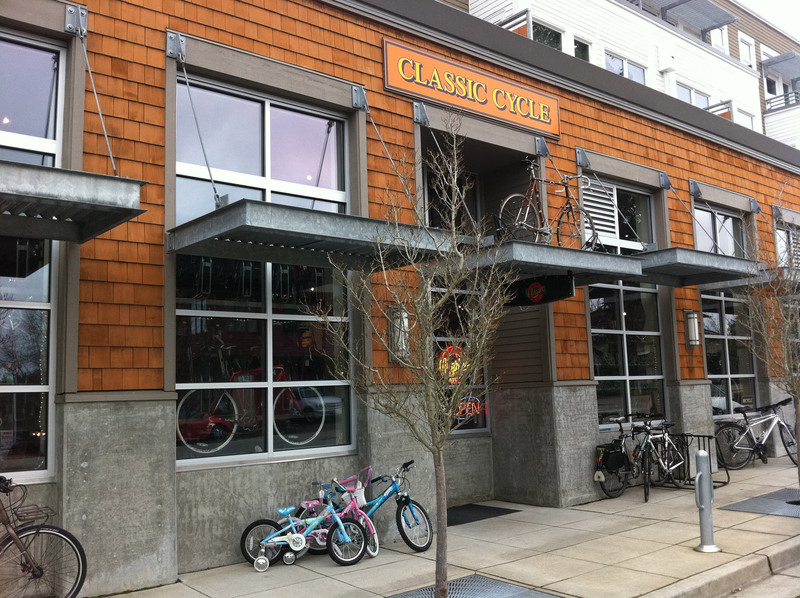 Classic Cycle is one of America’s Best Bike Shops. Hat trick! Now three years in a row! 2014, 2015 and 2016. 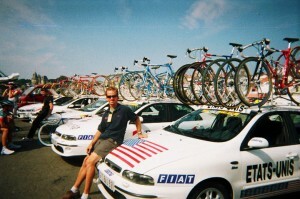 Paul with team car. 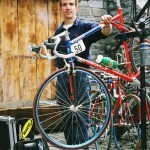 Notice the Banesto team car behind him. 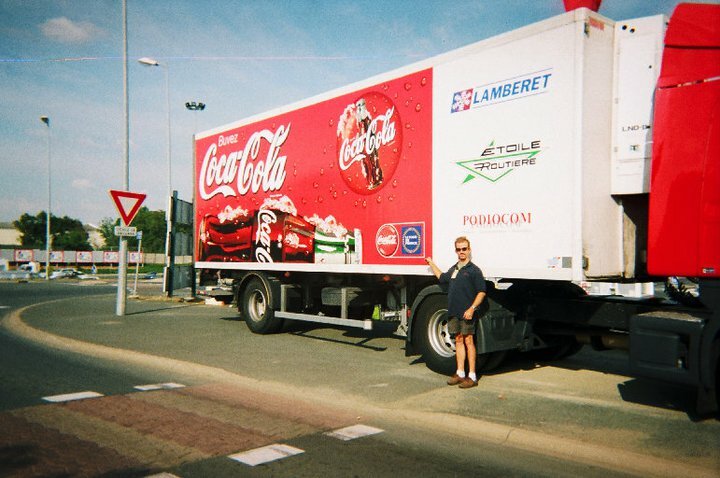 Back in the 1990’s Paul had a fairly unusual job. 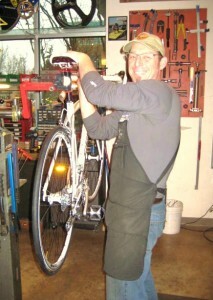 He was one of the mechanics for the U.S. National cycling team. 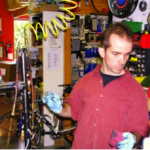 The National team, based at the Olympic Training Center in Colorado Springs, is a dynamic organization that re-shuffles several times a year to support track racers, road, cyclocross and mountain bikers (both professionals and up-an-coming amateurs). In an Olympic year a subset of the National team becomes the Olympic team, and whenever it’s time to compete in a World Championship, riders are plucked out of the National team racer pool to represent the country. 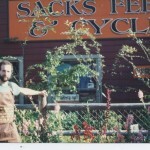 It all started with a phone call out of the blue (with a job offer for his roommate George). 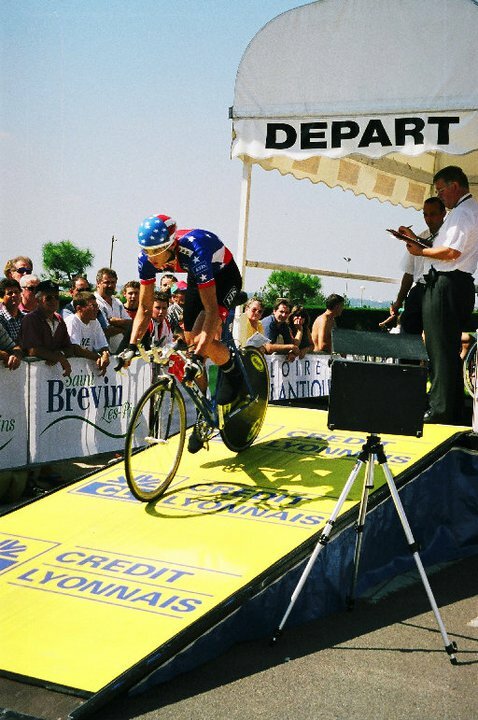 That phone call resulted in a travel-intensive career that spanned two Olympic Games, eight or nine World Championships, dozens of races in dozens of different counties, a hundred different bike racers, and about 200,000 frequent flyer miles. 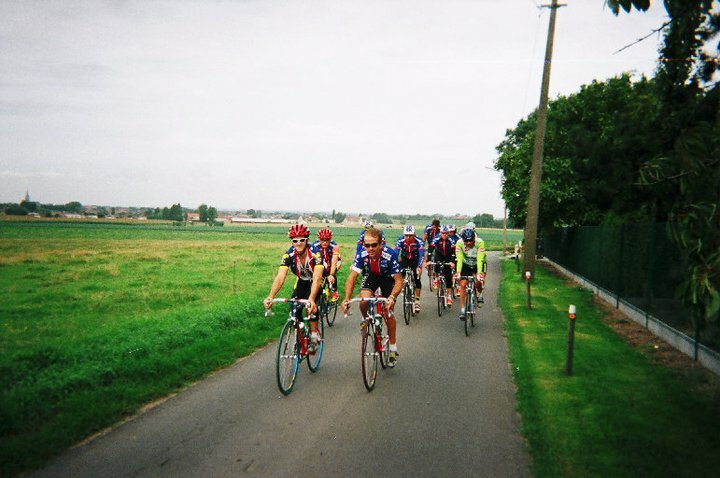 Mostly assigned to work with the endurance track team and the under 23 (years old) men’s road team, the racers that depended on Paul would often progress onto the pro road circuit. 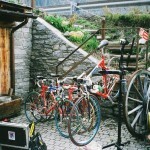 Some of the riders and their bikes that have depended on Paul are more notable than others. 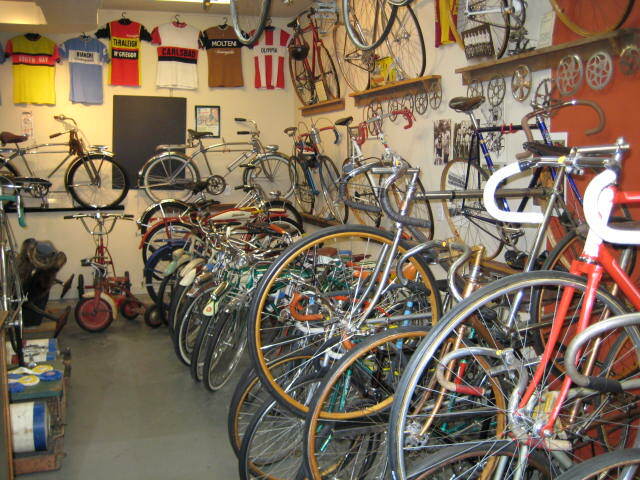 The more famous (and infamous) include Christian Vandevelde (and his sister Marissa), Kirk Obee, Justin Spinelli, Aaron Olson, Tim Johnson, Jonathan Page, Mike McCarthy, Allison Dunlap, Mari Holden, Rebecca Twigg, Phil Zajicek, Danny Pate, Mike Creed, Chris Horner, Levi Leipheimer, Floyd Landis, Lance Armstrong and Dave Zabriskie. 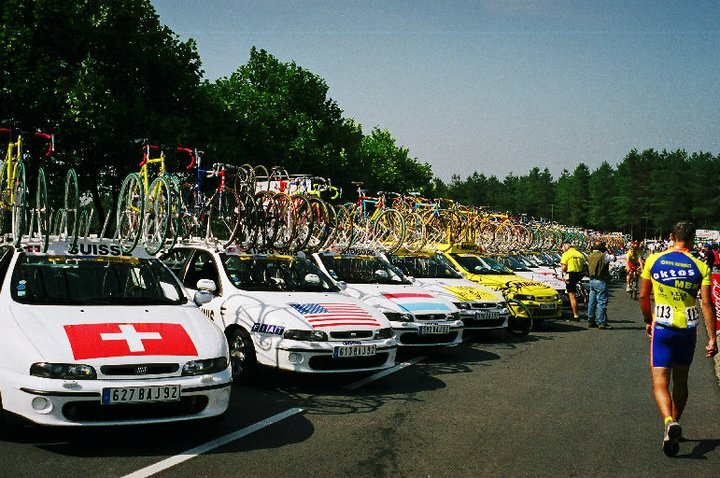 Race caravan at the 1999 Tour d Avenir. 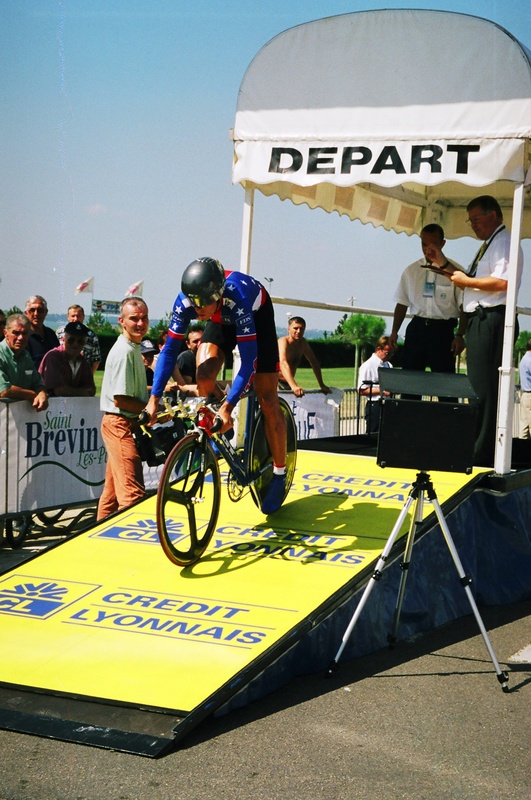 This looks like the stage in and around Plouay. Travel day: Pack up a couple of vans for a trip to the airport, drive there and then personally shepherd twenty pieces of oversized luggage through the departure and destination airport. 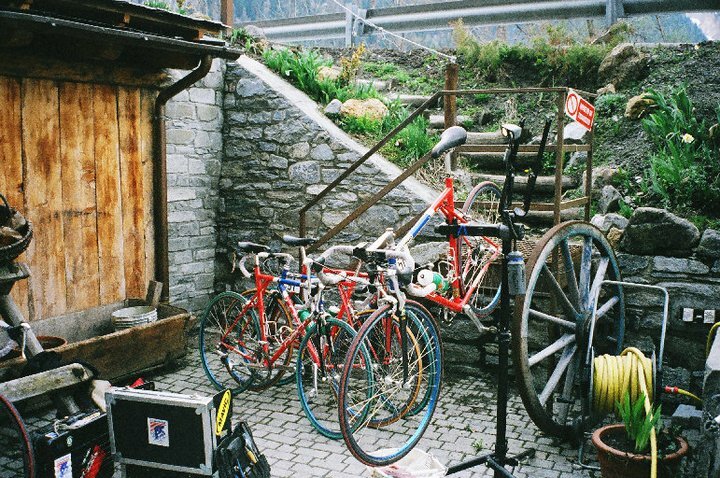 Pack up two different vans for a 2-hour drive to a strange hotel where the concierge will direct you (in a language that you don’t speak) to a basement room or back parking lot where you can assemble bikes until 2 in the morning. Race days: Up at 6am. Wash the team car. 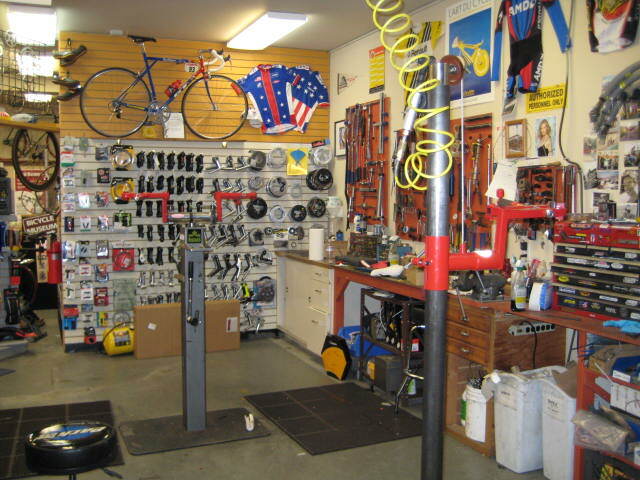 Air-up tires and touch-up the bikes (usually 6 of them per mechanic). Have breakfast. Load bikes onto the race car, then drive to the race start. Once the race starts you get to nap in the back seat of the car until you hear your team name over the race radio. Sometimes there are wheels to change or bikes to swap out during a race, but the goal is to be able to nap through the entire stage. 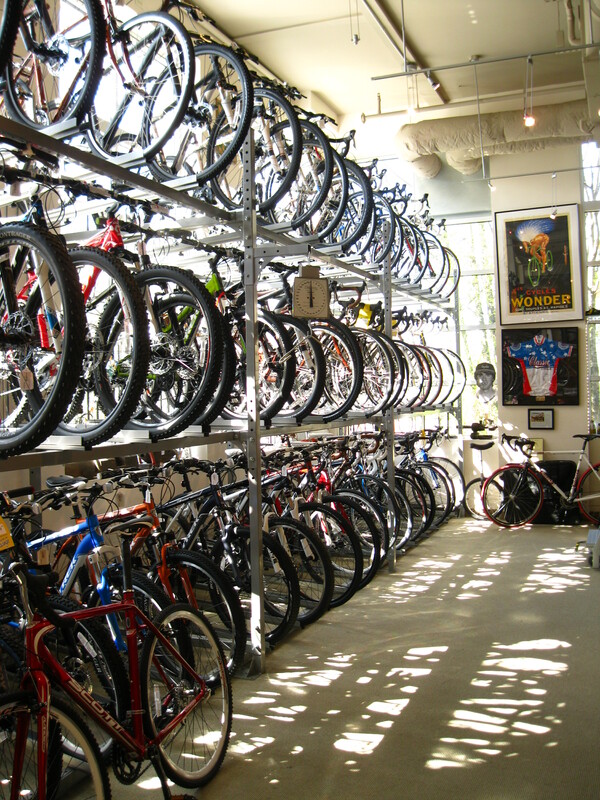 After the race you get to drive to a new hotel, wash the bikes, replace broken parts and set up a secure place for the equipment to stay overnight. Dinner with the team, drinks with the coach and the soigneurs, and bed by midnight. 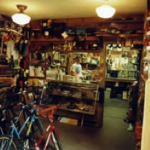 The shop biography. 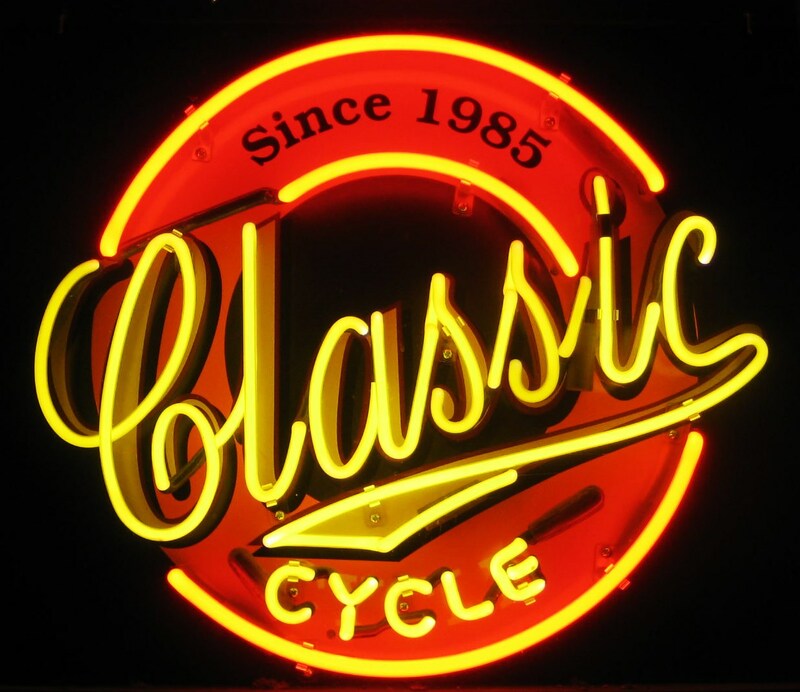 “Classic” Classic Cycle. 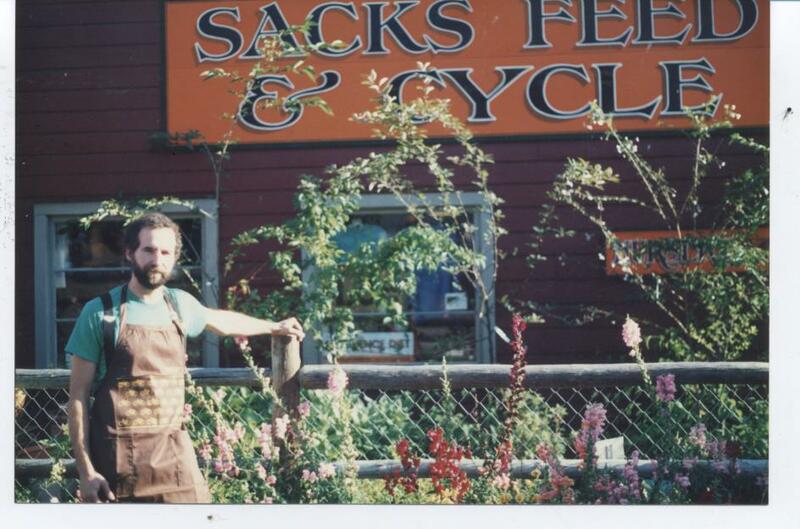 Classic cycle started as Sack’s Feed and Cycle back in 1985. 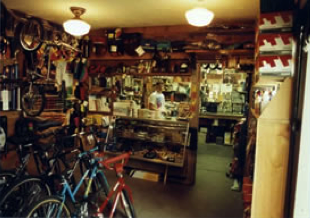 Possibly the only Trek bicycle dealer in the universe where you could also buy hay, oats, garden tools and live chickens. 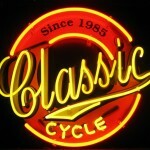 Classic Cycle celebrated its 25th year in 2010. Jeff celebrated by selling the store to Paul and Jaime. 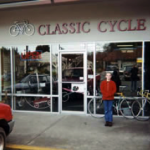 Check out how far we’ve come since 1985. 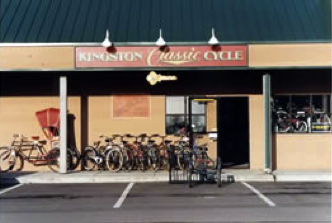 In the early ‘90s Jeff moved the bike operation across the street from Sak’s Feed, and it became Kingston Classic Cycle. 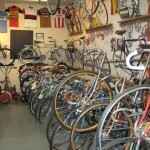 The shop developed quite a following with the antiques on the walls and true bicycle experts behind the work stand. 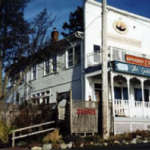 In 2001 Paul joined Jeff in the move to Bainbridge Island. 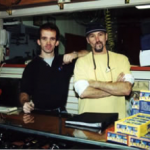 It was a two-man operation for years, with occasional help from our friends Justin, David, and Donnie. 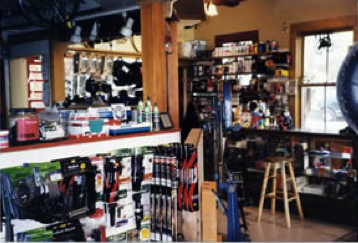 We opened the week of the Nisqually earthquake, and stayed in our spot between Radioshack and Books, Bagels, & Beans for five years. 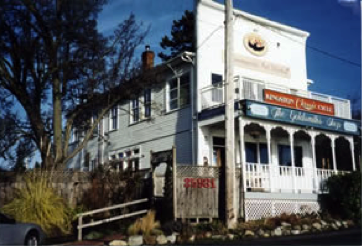 From 2003 to 2006 we welcomed visitors to the Kitsap Penninsula with our shop overlooking the Edmonds to Kingston ferry boat. 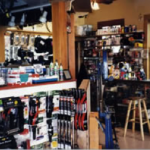 Our customers have long understood that we were worth the extra travel time, with regulars coming from as far away as Port Angeles, Tacoma, and Bellevue. It was a bit dark in that shop. Jeff wore several pair of glasses. 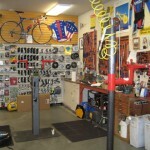 We outgrew our small high school road operation in 2007, so we moved onto Winslow Way and added Kevin, Gavin, and Zach. 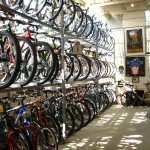 All of the extra square feet meant more bikes, more museum bikes, and quite a bit more fun. 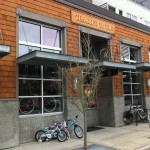 Our current version of Classic Cycle at 740 Winslow Way is the version we plan to keep for the long run. 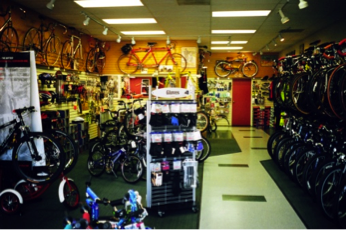 Since the beginning we have moved a few times, added bike lines and employees, but much has remained the same (we don’t have live chickens anymore, though). In the cycling world, Jaime walks the walk. 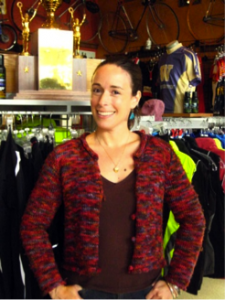 She can be seen riding her bike to work with Paul every day, and if you run into her at the grocery store, chances are that she is pedaling her purchases home. 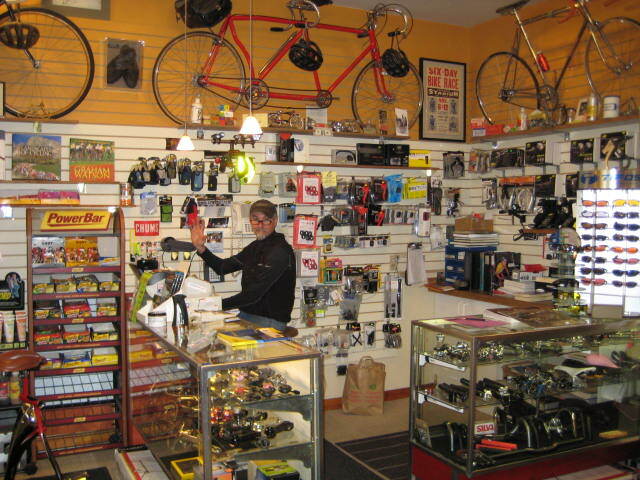 Paul started working with bikes at the neighborhood bike shop (that neighborhood being Richfield, Minnesota) 29 years ago at the tender age of 14. 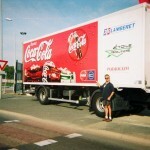 His enthusiasm for these wonderful machines has not waned in the intervening years. 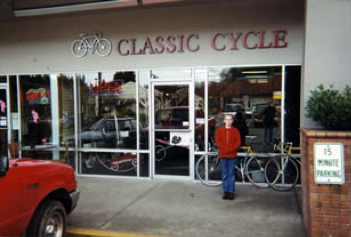 Paul helped bring Classic Cycle back to Bainbridge from Kingston in 2001. 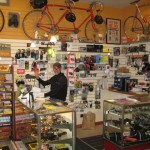 A lifelong dream came true in July of 2010 when Jaime and Paul bought the store from Jeff. 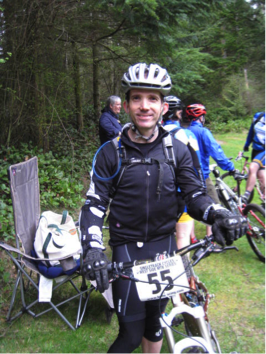 A former member of the U.S. Cycling team as well as two pro teams, Gavin knows racing. 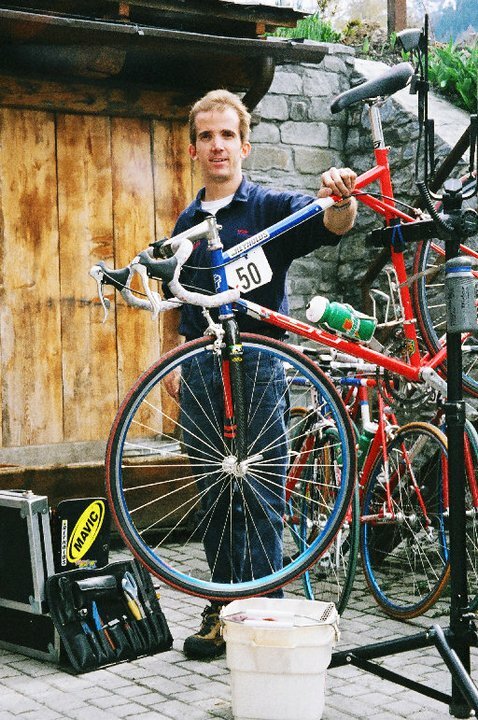 He spent most of the ‘80s racing his bike (and he was fast enough to get a paycheck doing it). 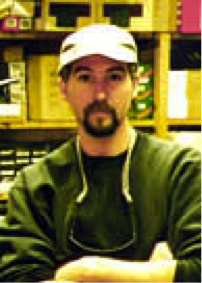 As a former college professor and custom furniture maker, Gavin is knowledgeable and patient. 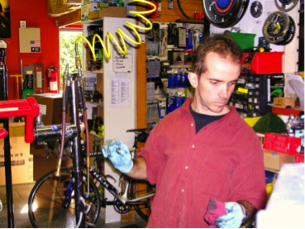 He can help you select the right bike, build it, fit it properly to you, coach you if you want to race it, and fix your bike if it breaks. 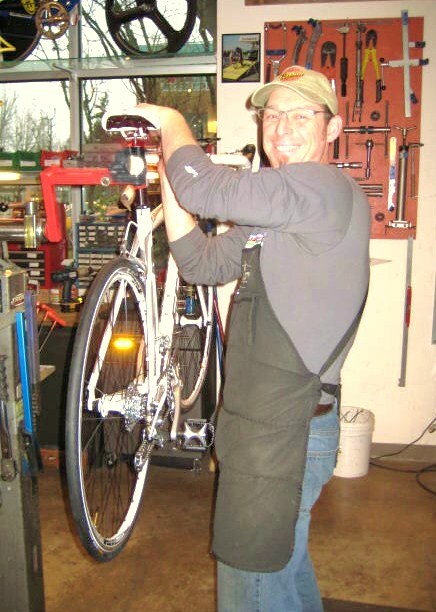 A member of the Classic Cycle crew since 2007, Gavin ditched his automobile in 2008, and has never looked back. Jeff started it all. 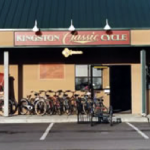 First came Saks Feed & Cycle in Kingston, then he started Reliable Cycle in Rolling Bay, and later Classic Cycle as we are today. 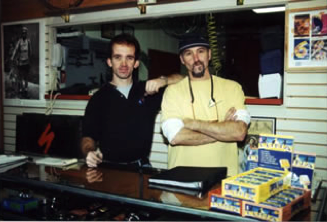 Jeff “retired” when he sold the shop to Jaime and Paul, but in reality, his work hours have just gotten better. 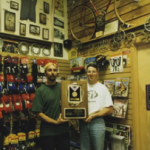 You will still find Jeff restoring antiques for the museum, cruising around Winslow in his 1934 Chevy panel van, or riding around on one of his 250 classic bikes.